Antonio Desiderio was born in Rome on 19 August 1976. He began studying piano and classical technique at the age of 11 with M ° Giuseppe Annese of the Opera of Rome. He then completes and finishes with M ° Vinicio Colella of the National Dance Academy and with the M ° Marianna Starc with whom he learns the technique of dance accompaniment. As a result, he started working as a piano pianist at major dance centers such as AID, IALS, CED, Ballet of Rome, Artem and working with masters such as Robert Streiner, Luc Bouy, Gaetano Petrosino, Alfonso Paganini, Flaminia Buccellato, Luisa Signorelli, Bruce Michaelson, Alessandro Molin, Sabrina Cerrone, Stephan Fournard, Brunella Vidau, Tuccio Rigano, Ivana Gattei, Denys Ganio. He complete his studies, he attended Academic Techniques at the National Academy of Dance in Rome, Dance Music and History and Dance Styles at the Royal Academy of Dance. At the same time as pianist, he joined the Tor Vergata University of Rome where he attended a degree in Legal Informatics and later in 2004 graduated in Law with a thesis on experimental publishing profiles of lyrical reform. In 2006 he attended the Master in Music and Art Management at CEIDA in Rome with the highest marks and the certification of Trinity College in London in English and Business English. He speaks fluently Italian, English, French and Spanish. He has been invited as guest teacher for Artistic Management seminars at the Universities of Santander, Barcelona (Spain), New York (USA), Carlo Bo of Urbino (Italy) . Since 2010, she has been a member of the Maria Antonietta Berlusconi for Young Talent (MAB) international competition as a core partner for foreign artistic residencies and at the International Ballet Festival in Miami (USA) as a reference for Italy and abroad. 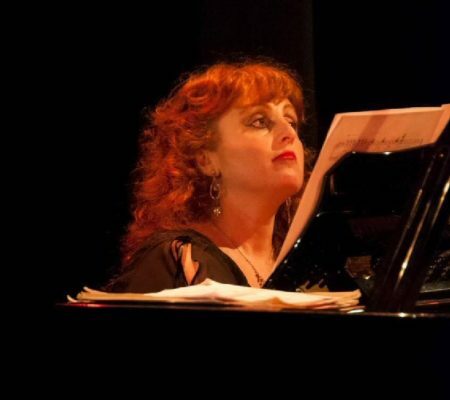 Since 2004 she has been performing international artistic representation for the dance and opera house for Italian lyric institutions (Teatro La Scala, Teatro dell'Opera di Roma, Teatro del Maggio Musicale Fiorentino, Teatro Carlo Felice of Genoa, Teatro Massimo (Opera House in Vienna, Bayerische Staatsoper in Munich, Teatro Real in Madrid, Teatro du Capitole in Toulouse, Bordeaux Theater, Tel Aviv Israeli Opera, Amsterdam Opera House, Santander International Festival, Zurich Opera, Athens Opera, Riga Opera House, Belgrade Opera House, Erfurt Opera House, Deutsche Oper Berlin ) And non-European (Jackie Gleason of Miami, Tokyo Opera House, Beijing National Opera House) together with the concert and organization of dance gala (Erfurt Gala, Venice in Dance, London Coliseum) and masterclass of ca In the major European and non-European capitals. From 2005 to 2011 he was personal manager of the international basse Roberto Scandiuzzi. He is General Manager of the International Dance Star Giuseppe Picone, currently Director of Ballet San Carlo Theater in Naples. Since 2007 he has been coordinator for the Japan-based Sky Broadcasting Company, a member of the World Dance Alliance Europe and a music critic for the Italian music magazine "Musical". Since 2008 he has collaborated with the Kicco Music production house for the production of Opera and Ballet DVDs. Since 2009 he has been a member of AIPS (Italian Association of Performers Professionals). In 2011 he organized as Artistic Director the 1st edition of the Gran Galà di Danza for the City of Rome under the patronage of the City of Rome at Teatro Argentina and Premio Amalfi in 2012. From April 1, 2012 he is Artistic Consultant for Dance for the Theater of Erfurt (Germany) and in the same year he won the GD Award 2012 as Best Dance Manager. From 2017 he is Artistic Director of the Greek Theater Festival in Syracuse. 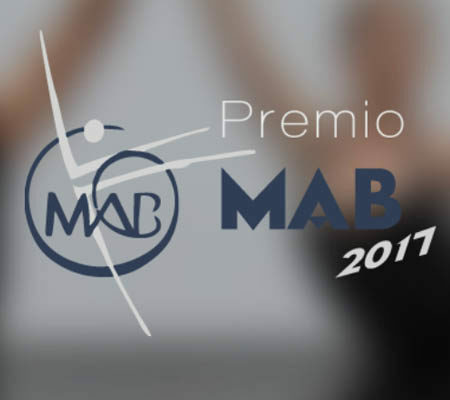 Premio MAB, il concorso internazionale di Danza Classica per i giovani, intitolato a Maria Antonietta Berlusconi giunto alla sua ottava edizione, con l'organizzazione di Gisella Zilembo. 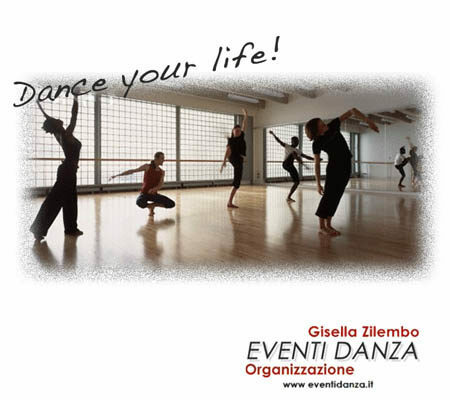 Eventi di danza su territorio internazionale, organizzazione concorsi, stage, spettacoli, audizioni, formazione,artisti. Gisella Zilembo si dedica ad attività di docenza e cura la direzione artistica di stage e festival di alto perfezionamento tersicoreo in tutta Italia.